A master of contemporary acoustic guitar, Jamie Findlay is a busy performer, instructor, and composer. 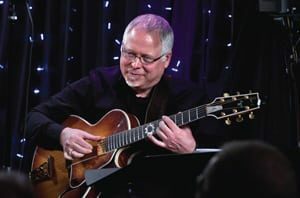 He has released two solo CDs – Wings of Light and Amigos del Corazon – and is a founding member of Acoustic Jazz Quartet, an L.A.-based jazz ensemble featuring his compositions. Findlay has authored several instructional books for Hal Leonard, including Harmonics and Creative Chord Shapes, and was the arranger for solo guitar booksJazz Standards and Miles Davis for Solo Guitar.